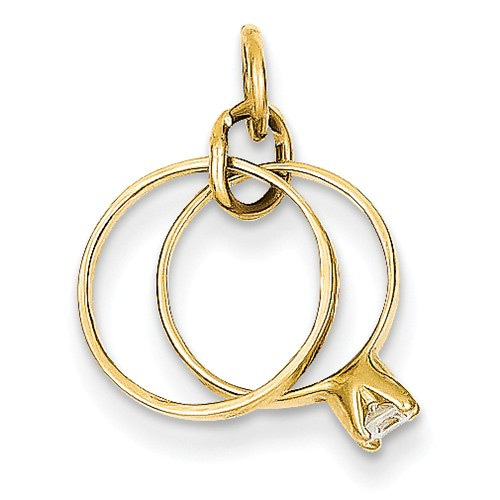 These small 14k solid gold wedding rings charm pendants are set with a white cz stone (cubic zirconia). The pendant measures approx. 15mm in size (just over 9/16"). We guarantee our Wedding Rings Charm Pendant in 14K Gold to be high quality, authentic jewelry, as described above.